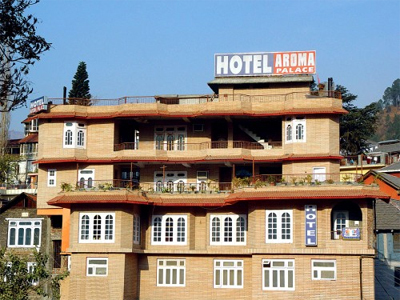 Splendidly located in the city of Chamba, Hotel Aroma Palace is a 2 star property offering budget accommodation with all basic amenities. 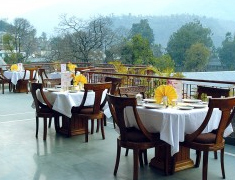 It offers enchanting views of the hilly terrain of Chamba, river and snow-capped mountains. It has well-appointed rooms with open porches to facilitate a luxury stay. 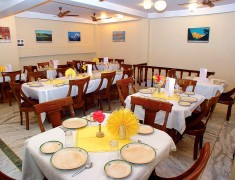 There is an in-house multi-cuisine restaurant namely 'Neelkanth' which has a wide range of delicacies to offer. Guests can pamper their taste buds with fresh and delicious food. 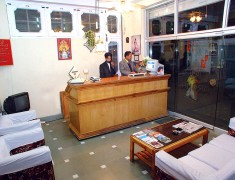 The Hotel Aroma Palace is the best place for those who want a safe and hygienic homely stay in Chamba. Clean rooms, warm hospitality and splendid restaurant, a large conference hall and a terrace lounge make this hotel unique from others. So, if you are looking for a peaceful stay then come and enjoy luxury stay amidst serene atmosphere. 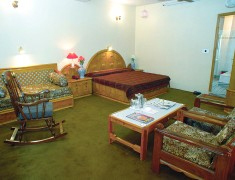 Guests are facilitated with elegant and spacious rooms to offer a comfortable stay.